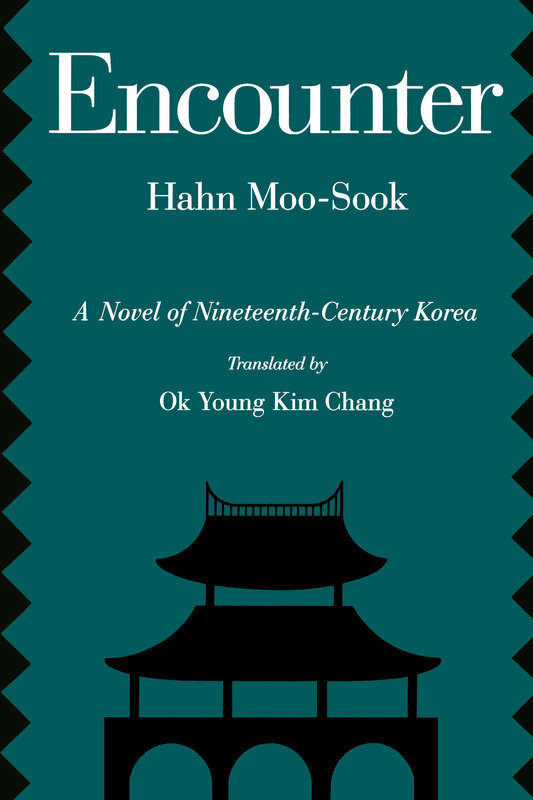 This historical novel, Encounter (Mannam), by Hahn Moo-Sook, one of Asia's most honored writers, is a story of the resilience in the Korean spirit. It is told through the experiences of Tasan, a high-ranking official and foremost Neo-Confucian scholar at the beginning of the nineteenth century. Because of Tasan's fascination with Western learning, then synonymous with Catholicism, he is exiled to a remote province for 18 years. In banishment he meets people from various social and religious backgrounds—Buddhist monks, peasants, shamans—whom he would not otherwise have met. The events of Tasan's life are effectively used to depict the confluence of Buddhist, Neo-Confucian, Taoist, and shamanistic beliefs in traditional Korea. A subplot involves three young sisters, the daughters of a prominent Catholic aristocrat, and affords the reader vivid glimpses into Yi-dynasty women's lives, particularly those of palace ladies, scholars' wives, tavern keepers, shamans, and slaves. In contrast to the long-held Confucian stereotype of female subservience, this story illustrates the richness of women's contribution to Korean culture and tradition. Encounter's detailed narrative provides a broad and informed view of nineteenth-century Korea, making it a highly useful book for courses on Korean literature and society. It will also be an engaging read for lovers of historical fiction. Hahn Moo-Sook was born in Seoul, Korea, in 1918. She has received many prestigious awards, including the Republic of Korea Samil Culture Award (1989) and the Korean Academy of Arts Prize for Literature (1991). Ok Young Kim Chang was born in Seoul, Korea, and received the Korean Culture and Arts Foundation's Best New Translator Award. She now lives in Connecticut. Don Baker is Assistant Professor of Korean Studies at the University of British Columbia. He has written widely on Korean religions.